Select one of our beautiful templates and get started. 2. Go to the Create From Template tab. 3. 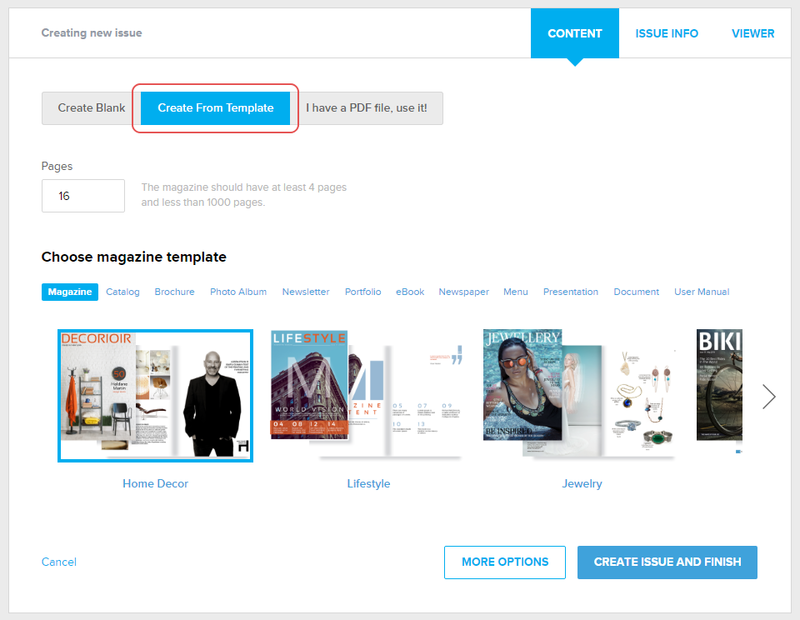 Here you'll have to specify the number of pages you wish to create and select a template. 4. Click the CREATE ISSUE AND FINISH button after you’re done. Woola! Your new issue is ready and can be edited! Learn how to edit the content of the publication.